A user account for each user. See Creating a user account. One or more user groups to which the users will be added. See Creating a user group. 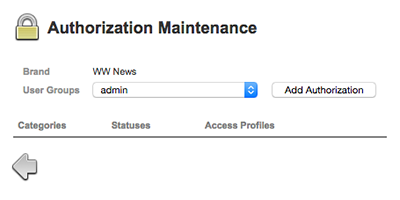 Note: The working of this page has changed since Enterprise Server 10.1. It is assumed here that you are using version 10.1 or higher. Step 2d. Make a choice from each list. Step 2f. 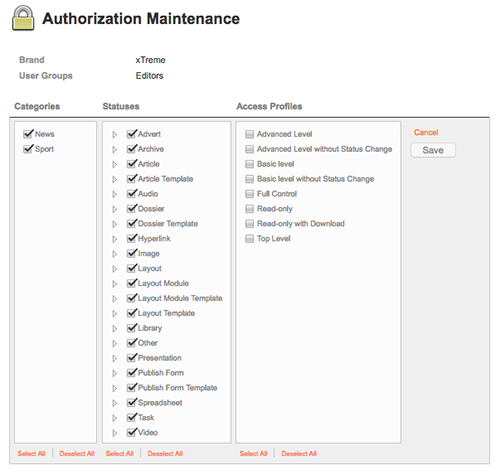 (Optional, only necessary when not having chosen '<All>' for both the Category and Workflow Status lists) Continue adding Authorizations for as many Category/Workflow Status combinations as necessary. 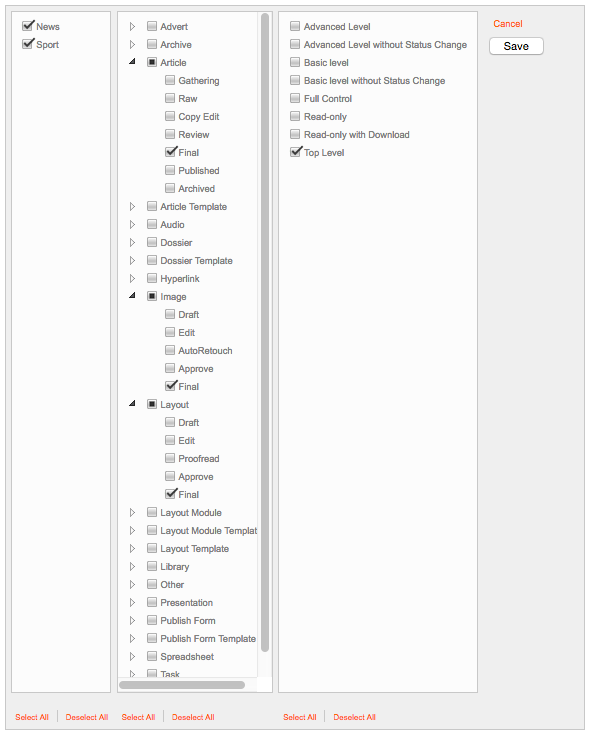 A box showing all available Categories, Workflow Statuses and Access Profiles appears. By default, all Categories and Workflow Statuses are selected. 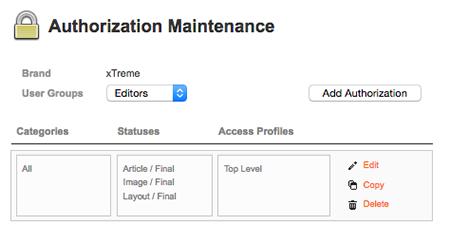 The aim here is to define combinations of Categories and Workflow Statuses that share the same Access Profile(s). Step 2d. Select or clear check boxes in the Categories and Status lists and select one or more Access Profiles that they should have assigned. The box is collapsed to make the page easier to read. Step 2f. 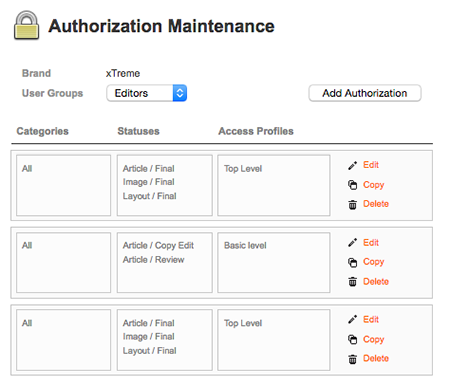 Continue adding combinations of Categories, Workflow Statuses and Access Profiles for each user group. Use the Copy button to base a new combination on an existing one and to subsequently modify it. 2 November 2016: Added information about setting up Authorization Rules in Enterprise Server 10.1 and higher.